Neurala’s award-winning AI is based on technology originally developed for NASA, DARPA and the U.S. Air Force and is now deployed commercially on over 25 million products like drones, mobile phones, cameras, and other smart devices. Tell us about your interaction with smart technologies such as AI and NLP platforms. Neurala is a Boston-based company building Artificial Intelligence emulating brain function in software. Neurala commercializes a new Deep Learning technology called Lifelong-DNN. Neurala’s AI is the only one in the market that gets smarter after every use, instantly and continuously learning new information in any computing substrate, from servers to small devices. 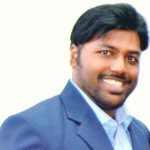 After deploying its AI in 25+ million devices, from smartphones, to cameras, drones, and robots, Neurala is launching the Brain Builder SaaS platform to enable any enterprise to leverage its L-DNN technology in their products, without the need of AI expertise. Between myself and Neurala’s other co-founders, Dr. Heather Ames Versace and Dr. Anatoli Gorchet, we have four PhDs, two dozens patents, and decades of experience working together to create groundbreaking AI. Tell us more about Neurala and how your customers benefit from leveraging it. Neurala develops Deep Learning neural network software to make devices more intelligent, engaging and useful. Our Brain Builder platform accelerates and streamlines the creation, deployment, analysis, and management of deep learning applications. For customers, this means getting AI from conception to deployment in minutes, with a lower barrier to entry for enterprise AI deployment, ultimately, making it less expensive and time consuming to develop AI solutions. Brain Builder leverages Neurala’s patented Lifelong-DNN technology to gain incremental knowledge and makes complex AI deployments accessible to non-experts. How did you start in this space? What galvanized you to start Neurala? Myself and my co-founders, Dr. Heather Ames Versace and Dr. Anatoli Gorchet, all met while we were working on our PhDs at Boston University. AI was still in its infancy, but we had a vision for where it would go in the future. 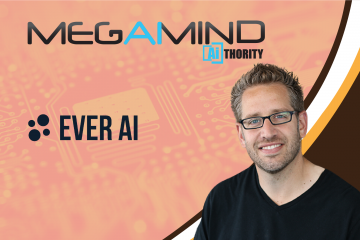 Specifically, we had the idea of being able to run AI systems on mobile devices, which was impossible at that time due to computing power and scalability. But, we wrote a patent for the technology and started off working on high-level projects for governmental agencies like DARPA and NASA, most of which were pretty ambitious. And after realizing that there was significant commercial interest in this kind of technology, we decided to take the company out of the lab in 2013 when we joined TechStars. It was an exciting time because we knew we were ahead of the market. Tell us more about your role in NASA’s Mars Rover project! Neurala’s story starts with NASA. When my co-founders and I were still at Boston University, we learned of NASA’s goal to enable autonomy on the Mars Rover. NASA needed AI that would allow the Rover to learn, perceive, and navigate autonomously on Mars, on a small compute-power envelope, without a connection to Earth. We immediately started working on trying to solve this challenge, which was something that the AI industry as a whole had yet to achieve. We had to make our AI 1000x more efficient and more portable than ever before. Ultimately, we designed an AI “brain” that was able to understand its environment without any connection to Earth, uniquely relying on edge processing, so the Mars Rover would be able to navigate its surroundings without human direction. How do you differentiate between technologies for AI and Machine Learning? Who are you competing with in this AI software landscape? When we started 13 years ago, there were very few pioneering AI companies — now, everyone is claiming they are powered by AI. It’s critical to be skeptical, pay attention to whether so-called “experts” have published peer-reviewed papers, and to be honest about what AI can and can’t achieve. What we’re working on right now has never truly been done before, so our direct competitors are limited. Google and Microsoft come closest, but we still maintain a competitive advantage and can move very fast. What are the biggest challenges and opportunities for businesses in leveraging technology to optimize AI outcomes? AI enables businesses to be more efficient internally while also curating engaging and targeted end-user experiences. That said, we live in a world that is constantly changing and evolving, so the challenge is creating AI solutions that can do the same. Devices like drones, robots, cameras and other technologies that are incorporated into business processes need to be able to assess and adapt to any problems and situations they encounter in real-time, as they arise. Humans are so good at doing this on a daily basis, that we forget how our “AI” continuously adapts to our changing world. One of the biggest challenges for enterprises is understanding that their AI needs to also evolve, daily, as real-life AI applications live in the same world where we live: one that changes all the time. Traditional approaches to deep learning make continuous learning impossible. 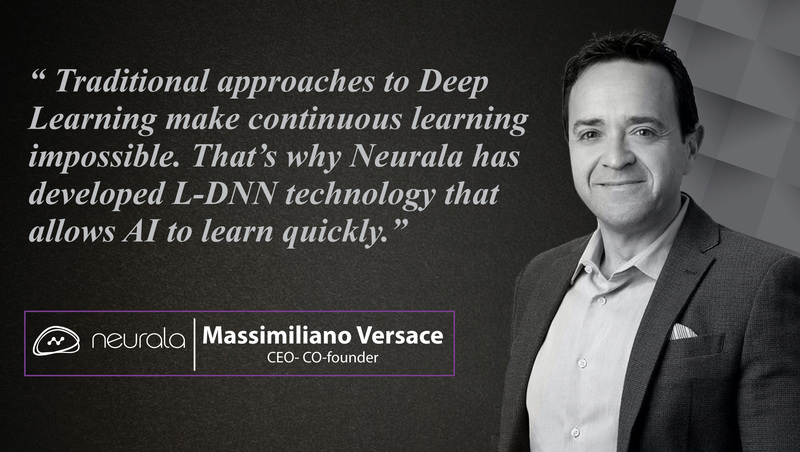 That’s why Neurala has developed L-DNN technology that allows AI to learn quickly, at the edge/on-device, and continuously over time. This means that rather than having to retrain AI systems for new use cases or situations that are unfamiliar, AI is able to keep up. In turn, AI can be more useful to their human counterparts – ultimately performing at the expectation that businesses have when it comes to how AI can improve how we work and businesses’ bottom lines. Even though AI has matured and is gaining traction in a number of areas, there’s still a significant skills gap when it comes to sourcing AI talent that can keep up with demands for the technology. In fact, some estimate that there are only 300,000 AI engineers worldwide, but millions are needed to keep up with advancements in the field and deliver on the technology’s promise. 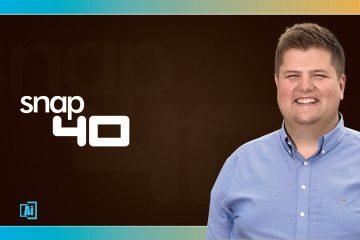 For young tech professionals preparing to enter the workforce, it’s important to look for tools to help simplify the process – especially when you consider that many young people may not have the time or resources to get a Ph.D. in AI, and will need to find a way to bridge the gap in education. That’s part of the inspiration behind Neurala’s Brain Builder platform. As mentioned, Brain Builder seeks to lower the barrier to entry when it comes to AI development. It makes AI more accessible for developers and organizations by providing an easy-to-use platform to manage and annotate training data. We like to think of Brain Builder as the “WordPress for Brains” – recalling how WordPress (and its copycats) made web development easy for non-experts. 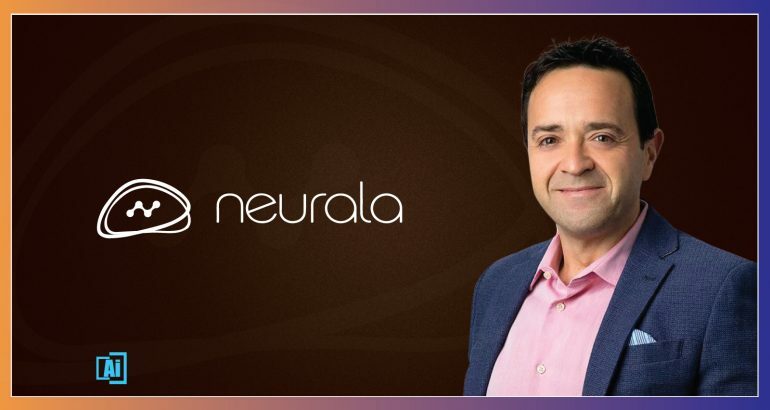 The world is ready for the same revolution in AI, and Neurala will lead this next step. In fact, we recently partnered with academic institutions including Boston University, and the Chinese Software Developer Network (CSDN), to provide education programs, and access to Brain Builder. The goal is to equip developers with the tools and knowledge they need to build enterprise-grade AI for the real world. We’re passionate about investing in the future of AI, which begins with fostering the next generation of AI talent. For up-and-coming AI talent, my advice would be to seek out specialized courses and curriculum that provide you with actual tools, in addition to coursework, if you want to ensure you’re ready to solve real-world AI challenges. As a tech leader, what industries do you think would be fastest to adopting Analytics and AI/ML with smooth efficiency? What are the new emerging markets for these technology markets? There are several industries where AI adoption can help ease the workload and improve efficiency. From drones and robotics to manufacturing and inspections, AI can be integrated into existing workflows to speed up processes that would traditionally be meticulous and time consuming for humans. But it doesn’t stop there – any industry where there is a vision-based AI challenge, with a lot of repetition, is a prime candidate for AI intervention. When implemented correctly, AI can alleviate resource challenges and inefficiencies, allowing employees to focus only on the information that’s important to them. How do you see the raging trend of including involving AI and Machine learning in a modern CIO/ CMO’s stack budget? We have seen AI cross the threshold from proof of concept to technology that can be deployed at scale. CIOs, CMOs, and other key decision-makers have certainly taken notice. That said, there is still a lot to learn, and organizations need to make sure they’re fully prepared before they embark on an AI project. Specifically, organizations should focus on using AI to solve one key problem for a specific use case, versus trying to be the end-all, be-all solution that will solve all problems. AI can significantly improve the way people do their jobs in a range of settings, so companies shouldn’t hold out for technical advancements that will replace their entire workforce. Instead, companies should devise use cases that can make an immediate impact on efficiency and workflow, and test those use cases first. And, if robots are built with L-DNN technology, they’ll be well-poised to adapt to new use cases and learn iteratively over time. What is the data engine behind Brain Builder? What data architecture drives your success with Brain Builder? Brain Builder is powered by our Lifelong-DNN technology within our proprietary data architecture. L-DNN pushes AI beyond inference and allows it to learn continuously, either on a server or on a power-constrained device, significantly reducing data needed, training time and enabling real-time learning and improvement of the AI. When deployed on-device, L-DNN sidesteps the need to store or ship customer data outside the device for learning on servers, presenting as the only technology in the market that can seriously address the issue of data confidentiality and privacy, thanks to the ability to learn on a small computer footprint. 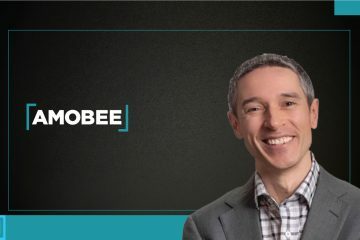 What is the biggest challenge to digital transformation with AI in 2019? How does Neurala contribute to a successful digital transformation? As enterprises look to undergo a digital transformation, AI is often top of mind. That said, there are a number of misconceptions amongst organizations in terms of what to expect when it comes to AI adoption. There is often a lack of IT infrastructure and a shortage of AI experts to guide the transition, presenting multiple barriers to those seeking to integrate AI into their businesses. Neurala can help companies looking to tackle digital transformation with AI through our Brain Builder platform. Making AI development easier and more accessible, Brain Builder enables more and more organizations to take on AI adoption. 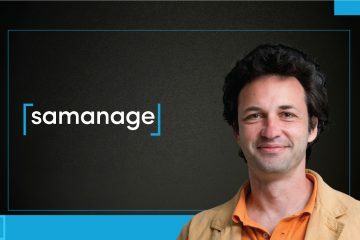 Rather than being dependent to external “AI contractors”, enterprises can take control of their AI strategy with internal resources using the right tools, and as a result, product managers, engineers, and their organizations will be able to test and build AI solutions faster, deploy them, and grow them over the AI lifecycle. How potent is the Human-Machine intelligence for businesses and society? Who owns Machine Learning results? Once upon a time, workers had to type on a typewriter. Then came the PC, and humans ‘melded’ their skillset with their digital cousin. AI will be as a meaningful and powerful to transformation as the PC was, adding a third player to the equation: a human, a machine, and a mind for the machine. Humans don’t need to provide all the thinking for the machine, freeing up their precious minds for other tasks, and augmenting the throughput of a worker by orders of magnitude. Rather than humans bending their privacy to enable AI, the latter will need to technologically bend and evolve to fit our privacy needs. New headlines about AI and privacy are popping up each and every day. Today’s technical requirements for AI simply won’t cut it in light of current privacy standards, nor will the demands for usability and adaptability of AI in deployment. As a result, we will see lifelong learning deep neural networks (L-DNN) emerge as the new paradigm for AI learning. This will enable lifelong learning at the edge and directly on devices, eliminating the need to store all of the training data. This new approach will be the only way to build solutions that are both useful and respectful of people’s privacy. 2018 saw the continuation of contentious debates around technology development across national borders. In the case of AI specifically, many have advocated for the U.S. to take a competitive approach with other nations, avoiding collaborations or knowledge-sharing in light of politics, trade restrictions, and privacy concerns. While privacy and ethics should be central to any discussion about AI – whether domestically or abroad – the industry needs to shift its mindset toward creating a global economy around AI. AI has the potential to help solve some of the world’s most pressing challenges today and benefit society in a number of ways, but only if we open the door to conversations between the many nations leading the AI revolution. Like any technology, AI is a tool whose applications reflect the intentions of its creator. It is up to us, as a global AI economy, to show the path, and come together to guide AI use cases in the right direction. Without a global approach, AI will fail to serve all of the communities and people that technology has the potential to reach. What is your opinion on “Weaponization of AI and Automation”? How do you promote your ideas? I’m a strong believer in restricting the weaponization of AI. AI is often spoken of as a potential force for evil, but that isn’t how it has to be. I joined a movement with the goal of stopping the weaponization of AI and signed an open letter to the UN aimed at sensitizing on the issue of weaponization of AI and Robotics. What technologies within AI/NLP and Deep Learning are you interested in? We are interested in technological developments in the area of continual learning. I’m Italian, so it has to be an espresso. Tag the one person in the industry whose answers to these questions you would love to know. Thank you, Max! That was fun and hope to see you back on AiThority soon. Dr. Massimilliano Versace is the CEO and Co-Founder of Neurala. Max continues to lead the world of intelligent devices after his pioneering breakthroughs in brain-inspired computing. 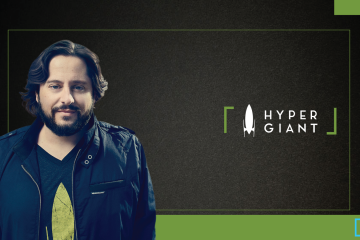 He has spoken at numerous events including a keynote at Mobile World Congress Drone Summit, TedX, NASA, the Pentagon, GTC, InterDrone, GE, Air Force Research Labs, HP, iRobot, Samsung, LG, Qualcomm, Ericsson, BAE Systems, AI World, ABB, and Accenture among many others. 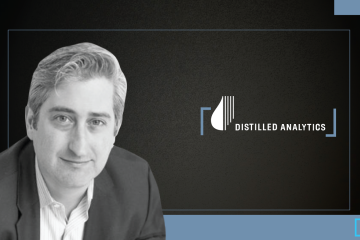 His work has been featured in TIME, IEEE Spectrum, CNN, MSNBC, The Boston Globe, The Chicago Tribune, Fortune, TechCrunch, VentureBeat, Nasdaq, Associated Press and hundreds more. He holds several patents and two PhDs: Cognitive and Neural Systems, Boston University; Experimental Psychology, University of Trieste, Italy. Neurala developed The Neurala Brain—deep learning neural network software that makes devices and products like drones, mobile phones and cameras more intelligent, engaging and useful. Neurala provides customized solutions ranging from high-end applications to inexpensive everyday products.